Lapchi Snow Mountain is situated in the eastern part of Nepal on the southern border of Tibet (China), at a height of about 4850 meters. 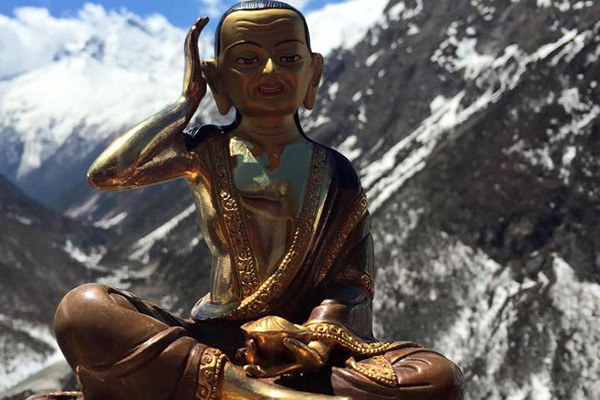 It is considered to be a very holy place that has been blessed by the presence of Siddhas and masters like Mahasiddha Saraha, Padmasambhava and Milarepa (1052-1135) who meditated in the caves of Lapchi. 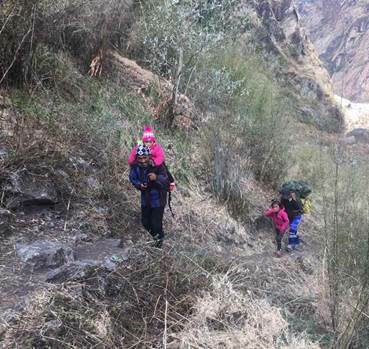 Moreover, this region has been closely tied with the history of the Drikung Kagyu. The founder of Drikung Kagyu Lineage, Kyobpa Jigten Sumgun (1143-1217) had sent countless Vajrayana practitioners there and in the centuries that followed, many outstanding masters from the Drikung Kagyu Lineage went to Lapchi to advance their practices. Many practitioners went on extended meditation retreats in one of the numerous sacred caves. 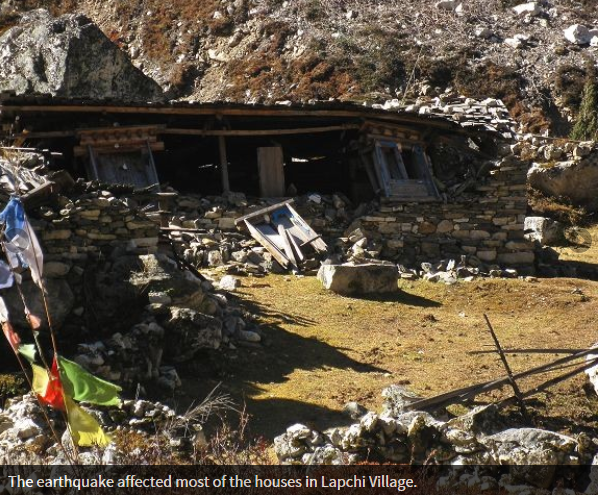 Lapchi Jamtse Kyi Khang (Lapchi Compassion Home) is one of the many projects operated by Nechok Lapchi Kagyu Milarepa Association (NLKMA) which is a non-profit organization in Nepal founded in 1995. H.H Drikung Kyabgon Chetsang Rinpoche is the Honorary Chairman of the association while His Eminence Drubwang Nubpa Rinpoche is the Advisor. The mission of the Association is to improve the lives of Lapchi villagers by providing education, medical services, infrastructure and so on. The name of this project Lapchi Jamtse Kyi Khang (Lapchi Compassion Home) was kindly bestowed by His Eminence Drubwang Nubpa Rinpoche. The project’s mission is to ensure that the children from the village of Lapchi receive good care and good education, become self-reliant and contribute to the Lapchi community and the world at large. Currently there are 13 nomadic families living in that area. Since they are nomads, they inhabit two settlements in the region. During winter months when it is too cold to stay at the top of the Lapchi mountain (4250 m) where the upper village is, the families have to move down to a lower village in Numagnang (3620 m) and vice versa in the summer time. 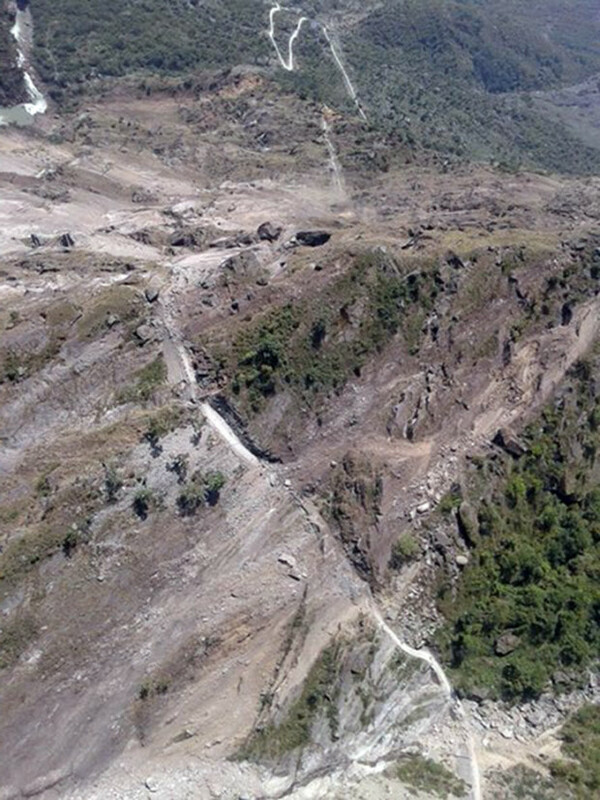 After the earthquake and landslides in Nepal 2015, many houses in the village and the usual routes (roads and bridges) between Lapchi and Numagnang which they highly relied on were damaged. 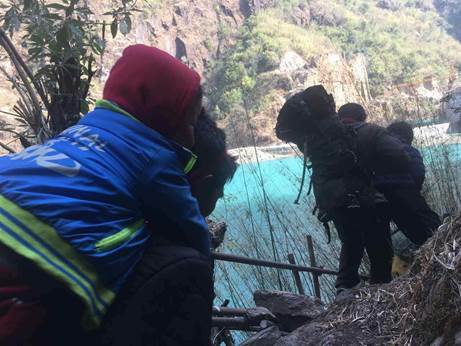 This becomes extremely difficult for the families to travel with their herds and in particular, it is dangerous for the children to travel along the broken paths. 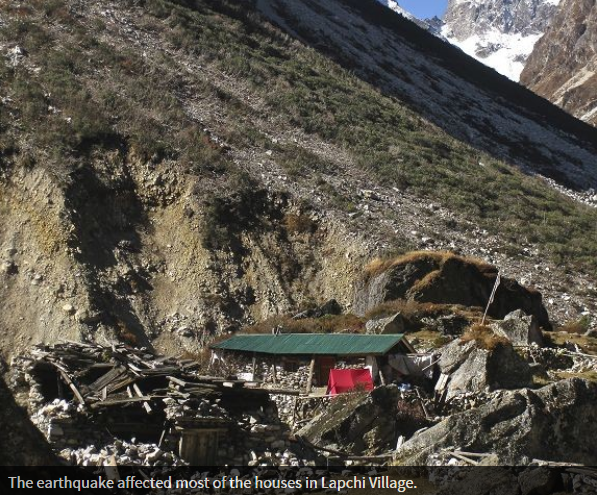 The people residing in Lapchi are poor and live in simple homes made of stones and metal roofs with no basic utilities like electricity, heat, hot water and gas for cooking. After the earthquake, the situation got only worse. Many of their simple homes were destroyed and have to be rebuilt. Many families lost animal live stocks like yak and cows that they greatly depend on. Some even lost family members. 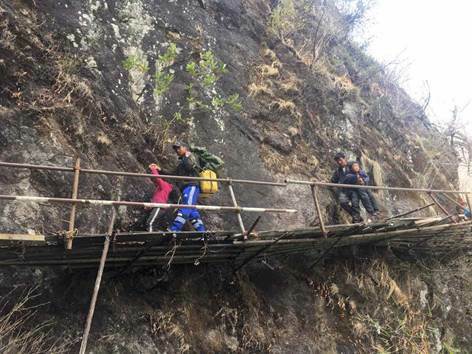 Under such harsh conditions, these parents who are overburdened by the heavy daily tasks raised genuine concern about the safety and the welfare of their children. 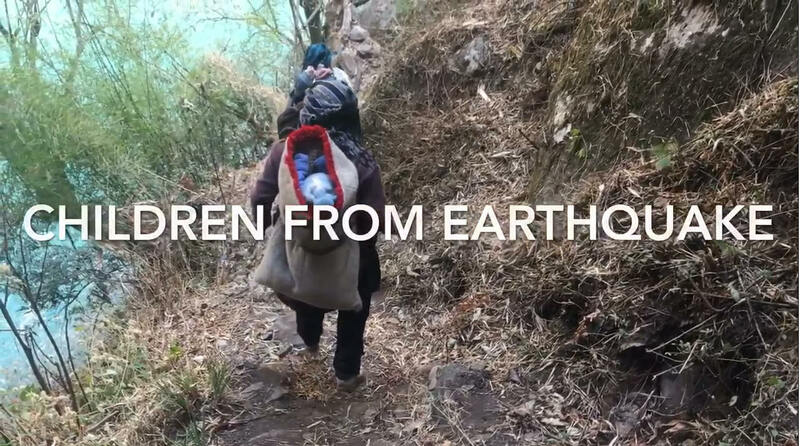 They personally brought their children to Lapchi Compassion Home to seek help in the hope to secure food, safe lodging and proper education that may change the life of their children. It is also out of their trust in Lapchi Compassion Home that they take this very seriously. Out of compassion and after great consideration, executive members under the supreme guidance of His Eminence Drubwang Nubpa Rinpoche decided to extend Lapchi Compassion Home to Kathmandu. 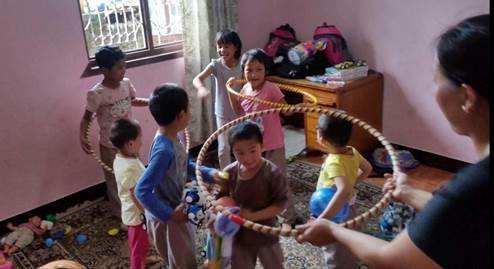 Under this new extended organization, with the help from three very competent staff, 13 girls and 1 boy between aged 4 to 7 have now moved to Kathmandu. 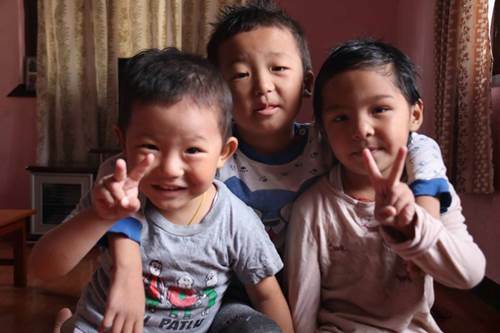 They stay in a newly renovated home, under the great care of the staff and are enrolled in local school in Kathmandu. 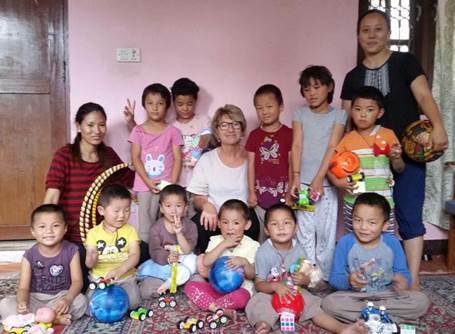 The parents happily accepted the project and they came personally to Kathmandu to drop off their children to the new Lapchi Compassion Home in Kathmandu for schooling. 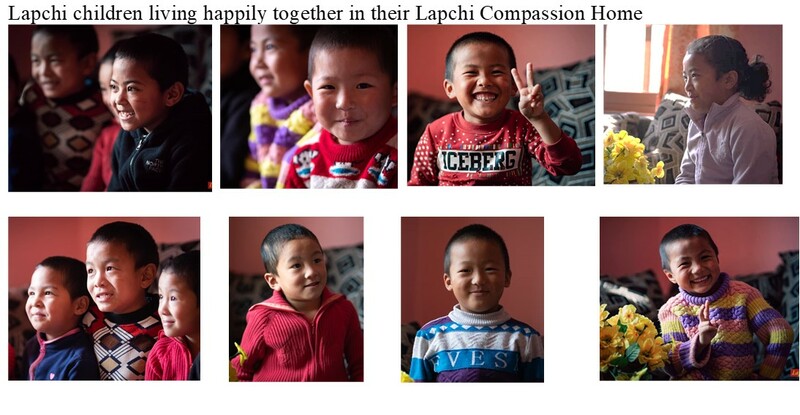 In this way, Lapchi Compassion Home helps to lessen the burden of their parents. 4. Program Manager (Volunteer): Dawa Tsering completed his B.A Psychology from India. 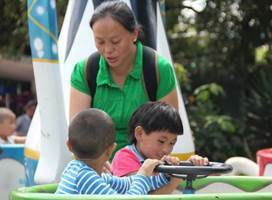 Currently three young caretakers – a female and two males are employed to look after 16 small children in a newly renovated home. They are young people from Lapchi who have studied in India and returned to Nepal to serve their village. Since the village of Lapchi is small and everyone knows one another, the children are familiar and comfortable with them. This also provides a means of proper living for the three young people. They have been properly selected to look after the well-being of the little children. So far, sixteen children are enrolled in the Lapchi Children project and they will accept the future children from Lapchi if, parents sent their child to school. 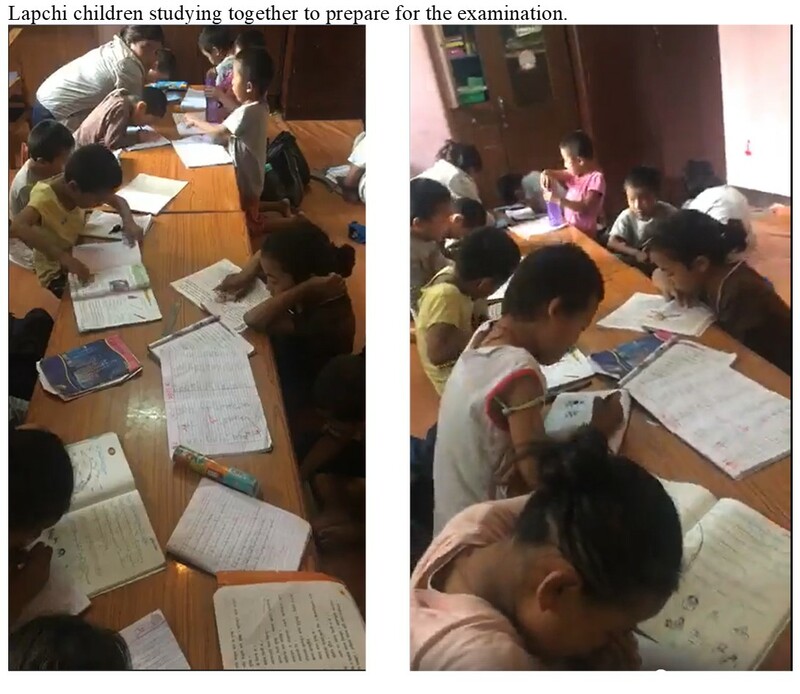 The children are studying in Srongtsen Bhrikuti Boarding School which has classes from Nursery to 10th grade and these children are studying between the level of Nursery and the 4th grade. Can I choose which child I would like to sponsor by myself? All children need to be sponsored equally. However, sponsors do have the choice to specify gender and age of the child that they wish to support. Which costs are covered by my sponsorship contribution? It covers basically everything including education, shelter (utility), food, clothes, medical care, administrative fees etc. 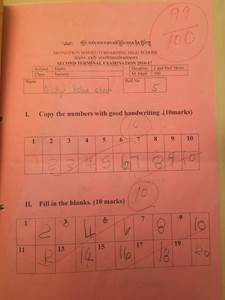 Can I correspond with my sponsored child by post and e-mail? Yes, but with the coordination of the manager of the Lapchi Compassion Home. 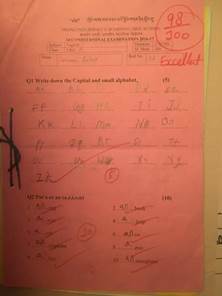 Even though English is a new language for the child, through a sample of drawings, simple alphabets, words or even a simple letter from time to time, you will see the progress of the sponsored child. The sponsored children will not seek direct communication with their sponsors to avoid miscommunication that could lead to misunderstanding and loss of credibility. When does my sponsorship come to an end? Basically you can end your sponsorship at any time without giving any reasons. However, please inform them in advance about the termination so that they can plan ahead. Sponsorship also ends if your sponsored child. 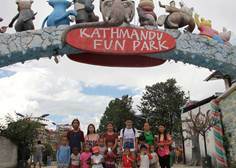 Can I visit my sponsored child at the Lapchi Jamtse Kyi Khang? 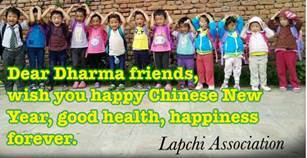 Yes, all sponsors are welcome to visit the Lapchi Compassion Home in Kathmandu where the children live. It will certainly bring joy when sponsors come with gifts and other items to the sponsored child. However, it is important to observe and respect the daily routines and duties so that a normal and harmonious functioning of the home can be maintained without disturbances. 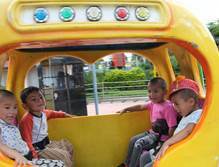 Also, the visit should not be too long so that other children do not feel jealous. Can I send gift packages to my sponsored child? Yes, but please send only small well-packaged parcels by registered mail. Since the postal service in Nepal is quite unreliable, parcels are often either lost or damaged. In additional they have to pay quite high custom duty when receiving those parcels. It happens that the duty fees are even higher than the value of the parcels. Due to the above reasons, sending the parcels is actually not the best option. They suggest that you add the gift amount to the sponsorship payment and specify the nature of the gift so that they can purchase the gifts and hand them over to the child without waste. What gift can I bring to my sponsored child during my visit? You can bring small gifts such as clothing items like trousers, jacket, shoes or stationery, balls, fountain pens, etc. If possible, preferably bring something for all members of your sponsored child's family. It is also possible to buy all these items in Nepal. 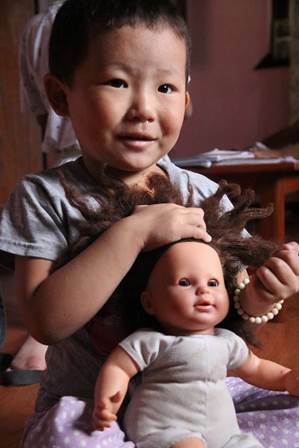 What does it mean to sponsor a child of Lapchi Jamtse Kyi Khang? •• Every cent of your sponsorship will mean so much to the sponsored child. •• You provide an unique opportunity for the children to receive good care and good education at early age, thus pave the way for a better future for the children. •• You will have the satisfaction of greatly benefited the child and a life-long deep appreciation from the child who come from a remote Lapchi area. 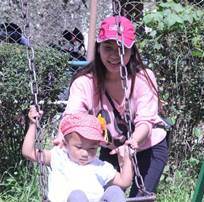 What is Lapchi Jamtse Kyi Khang’s motivation and attitude towards the children? They take well care of the upbringing of all the children and give them opportunity to receive regular school education, support and train each child whatever the child need physically, mentally, emotionally as well as educate them on their unique culture, language, religion, values. 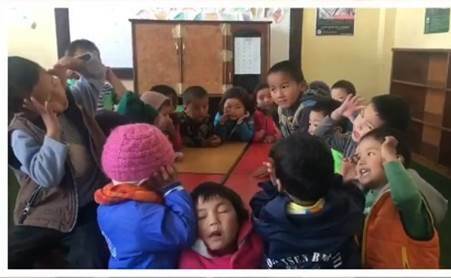 In addition, they will also, of equally importance, help each child to cultivate a warm heart as mentioned in His Holiness the 14th Dalai Lamas' speeches below. One of the unique things about humanity is the special human brain. We have the capacity to think and to memorize. We have something that can have very very special qualities. Because of that, education becomes very important. I believe that education is like an instrument. Whether that instrument, that device, is used properly or constructively or in a different way depends on the user. We have education on the one hand; on the other hand, we have a good person. A good person means someone with a good heart, a sense of commitment, a sense of responsibility. Education and the warm heart, the compassion heart - if you combine these two, then your education, your knowledge, will be constructive. Then you are yourself then becoming a happy person. 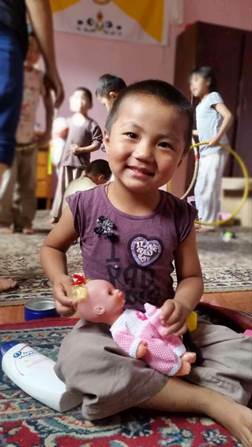 During the school holidays, if everything goes well, Lapchi Compassion Home also have plans to bring the little children home to Lapchi to reunite and spend some time with their parents and relatives. A school was set up earlier in the village of Lapchi by our association. However, due to a lack of qualified teachers and school facilities, among other problems, the school eventually failed to continue its operation. The people staying in the village are not properly educated as teachers. They are nomads. It is also difficult to get qualified teachers to stay permanently in Lapchi to teach and help the children. At that time, a Nepali teacher from another village and one Tibetan teacher were employed to teach in the school. Later one teacher left to become a monk and another one left to assist the family work with the cattle. Another problem is that because of the nomadic living style of the Lapchi people, it is hard to set up school facilities that can shift from place to place. Sometimes teachers did not come to Lapchi on time as they came from another village. All these are some example and problem happened at that time. In the meantime, this Children Education Sponsorship Project is the best solution that everybody has accepted. In the longer run, they hope to find better alternative solution once they get good facilities of education and qualified staffs as well as solution to safeguard children in Lapchi so that the children can move back to Lapchi. They also hope to be able to build qualified houses to all the households with well guidance of His Holiness Chetsang Rinpoche. Can the Lapchi Home include all children in the Lapchi village? Currently, there are a few children between age 1 to 2 in Lapchi. Whether in the future these or other children from Lapchi will be sent to us or not will be the decision of the parents. However, it also depends on whether or not the sponsorship program can find enough resources to provide opportunity for children of all ages. The Lapchi children are expected to help out in the daily house chores, like looking after baby yaks. When they get older, they are also expected to help with herding the yaks (cattle) in order to share tasks for the family. Unless Lapchi Compassion Home is financially secured to provide for the children for every family, it is impossible to expect every family to be at ease to send their children of all ages to school. This is unlike in the West, children have better living condition and parents can quite comfortably afford things for their children, without having the children to work. For every payment, you will receive an official receipt from the Lapchi Association. 1. . 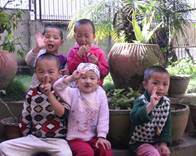 Currently there are fourteen children under the care of the Lapchi Compassion Home in Kathmandu which is operated by Lapchi Association. 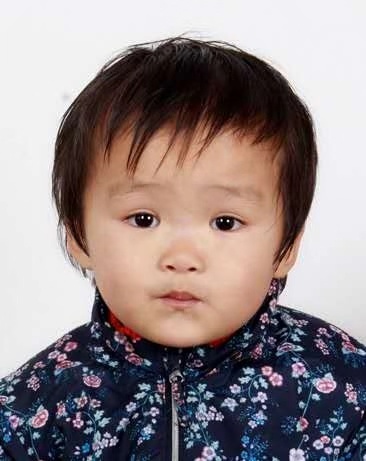 So far only four children are sponsored: two sponsorships from Ratnashri Meditation Center, Sweden and one from France of one year, and a half-year from Singapore. Thus, more sponsorship is needed in order to continue the program. 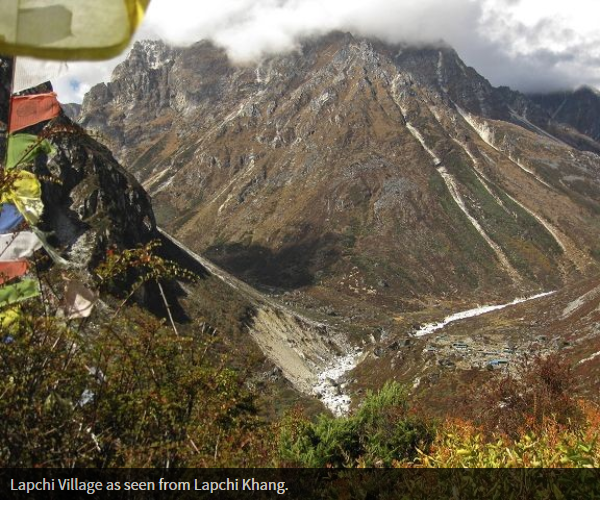 Temporarily, the Lapchi Association is channeling fund to make up for the project deficit. The biggest challenge right now is to find enough financial support to all the children since the fund from Lapchi association may not be sufficient to continue with the children home operation. 2. 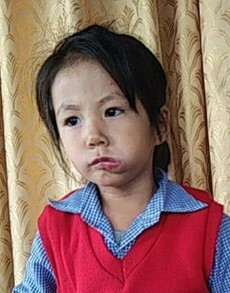 One of His Eminence Drubwang Nubpa Rinpoche’s generous patron has recently donated a home in Kathmandu to Rinpoche to run this charity project so that the sponsorship cost has now reduced to 100 USD per child per month (from previously 138 USD) and 1 200 USD (from previously 1540 USD) per year. See the cost breakdown table below. 3. 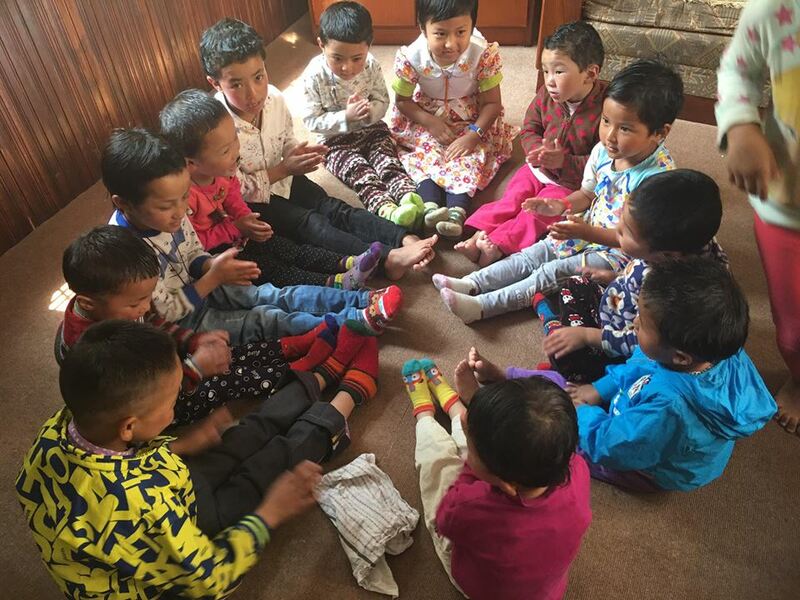 Children are living happily together because they are from the same village and they know each other well and they like to play village games together. The caretakers are doing a great job to provide good care toall the children. 4. 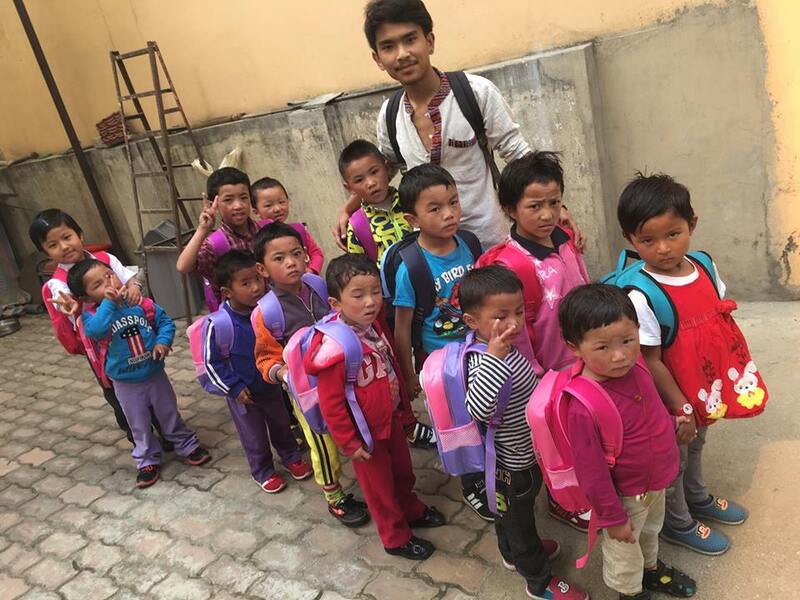 The children are receiving good education from the Srongtsen Bhrikuti Boarding High School in Kathmandu. They like to go to school learning new things and meeting good friends. They are all doing very well in school. 5. Seeing that the children are doing so well, their parents are all very pleased with the situation. Sometimes they will go to the lower village to get phone connection and call the home to talk to the children. They all came to Kathmandu to visit their children during the Mani-retreat in December and received blessings from His Eminence Drubwang Nubpa Rinpoche. 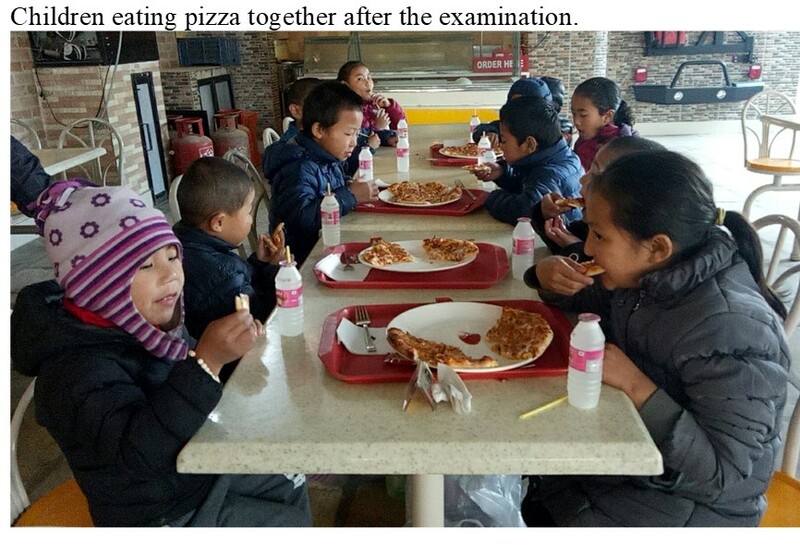 The children all went home during the winter break to unite with the parents. They are now happily back again from home. 6. 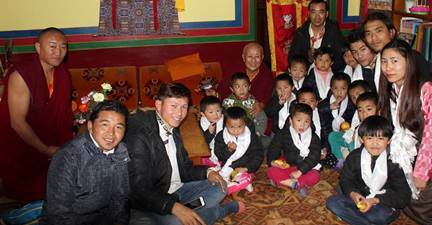 The children received blessings from His Holiness Chetsang Rinpoche, His Eminence Drubwang Nubpa Rinpoche, Venerable Khenchen Rinpoche and Venerable Dhondup Palden Rinpoche at the end of December. The Lapchi Association staff also received advice and blessings from His Holiness. 7. 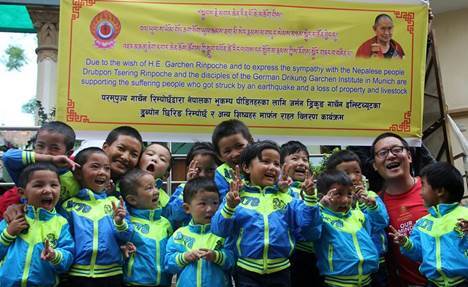 His Eminence Drubwang Nubpa Rinpoche encourages all of us to donate whatever amount you can to support this project. Rinpoche said, “This kind of virtuous deed when it is done with good motivation, the amount is not important. One simply donates whatever one can. Most important is how we do it. If the act is done from the heart of love and loving kindness, it is a virtuous act. Once the virtuous act is performed, there is no need to think about the result. If we perform virtuous deed without expectation, one is free from attachment and self-grasping; thus, one can live in a care free manner.” We are so grateful to Rinpoche for giving us such precious opportunity to practice bodhicitta, generosity and to accumulate merits. 8. Any donation amount will be GREATLY appreciated. 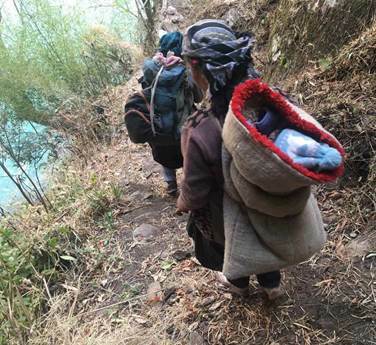 Since roads to or from Lapchi are in bad condition, journey to or from home is hard-work for the parents. It can mean a 7-hour of carrying the child on their back. 1. Situation has improved, out of the fourteen children in the project, nine of them are now sponsored with one year sponsorship. 2. Swedish sangha and Ratnashri Meditation Center continue the sponsorship for two children for the second year. From March 2017 to now, fifteen sangha members have made contributions. The total amount including the list of donations will be handed over to His Eminence Drubwang Nubpa Rinpoche personally during the 800th Mahaparinirvana celebration event in JangChubLing. 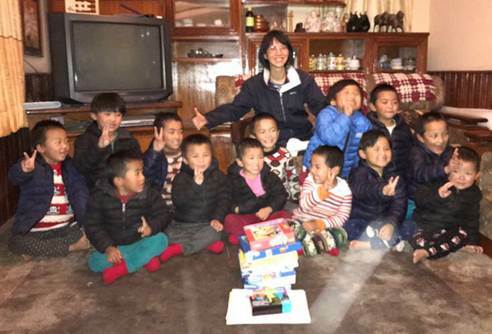 Each donor received a small gift from Rinpoche and a special DVD film Children from Earthquake as souvenir. 3. 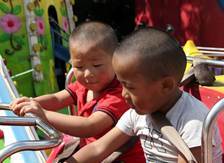 During spring, summer and fall, children stay in Kathmandu enjoying their daily routine of going to school, doing their homework and playing together. During holidays or leisure times, the volunteer from Lapchi Association plays music and sings songs with them enjoying the warm home life together. The children will come home to their parents for a month during the winter break. 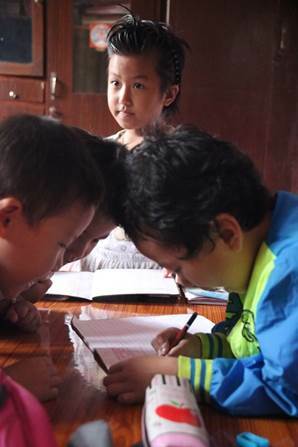 Childrencontinue enjoying their daily routine of going to school, doing their homework and playing together. 4. Occasionally, they are visited by visitors who bring gifts to the children and play with them. 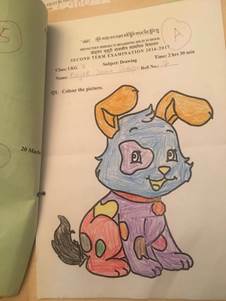 Last year, our Center brought puzzles for the children as a Christmas gift. This year the children will receive art sets. 5. Children are growing up healthily, happily and harmoniously. Below are some of the pictures capturing those moments. 6. Right now, the project is still running a deficit since five child sponsorships are missing. As a result, the project must rely on funds from Lapchi Association which currently channels valuable resources from other critical projects aimed at restoring and preserving the holy place of Lapchi, in particular after the massive earthquakes in 2015.We sincerely hope that more sponsorships can be found so that the children home operation can continue. 7. The monthly and yearly budget for each child remain the same as last year. 8. As before, His Eminence Drubwang Nubpa Rinpoche encourages all of us to donate whatever amount you can to support this project. Rinpoche said, “This kind of virtuous deed when it is done with good motivation, the amount is not important. One simply donates whatever one can. Most important is how we do it. If the act is done from the heart of love and loving kindness, it is a virtuous act. Once the virtuous act is performed, there is no need to think about the result. If we perform virtuous deed without expectation, one is free from attachment and self-grasping; thus, one can live in a care free manner.” We are so grateful to Rinpoche for giving us such precious opportunity to practice bodhicitta, generosity and to accumulate merits. 9. Any donation amount will be GREATLY appreciated. 1. 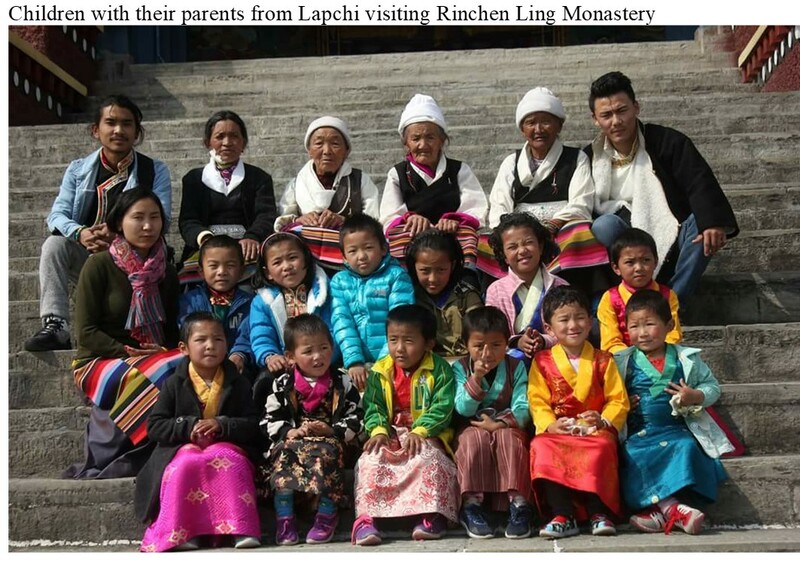 The Lapchi Association accepted two more children from the Lapchi villagers this yearDown. 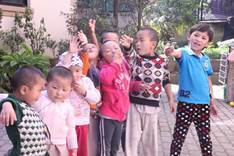 The total number of children staying in the Lapchi Compassion Home is now sixteen. Ten out of the sixteen children obtained sponsorship for this year 2018, six children are without sponsorship. 2. Swedish sangha and Ratnashri Meditation Center continue the sponsorship for two children for the fourth year. From October 2017 to now, fourteen sangha members have made contributions. The total amount including the list of donations has handed over to His Eminence Drubwang Nubpa Rinpoche in early April 2019. Each donor received a gift from Ratnashri Meditation Center and each donor will be blessed by His Eminence Nubpa Rinpoche through their names. 3. The children are doing well. They have been working hard to prepare for the school examination in early December. Right after that, the winter school break began and they have all gone home to reunit with their families in Lapchi during the break. 4. They have been well taken care of by the caretakers. They enjoy learning new things in school. 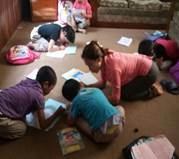 They like doing their homework and playing together in the Lapchi Compassion Home. During holidays, they play and sing together and are taken to parks and playgrounds. On hot summer days, they swim in the pool. On special occasions, they visit the Rinchen Ling Monastery to attend some Buddhist celebration ceremonies. At times, they are visited by His Eminence Nubpa Rinpoche and Gelong Dorzin Dondup Palden Rinpoche. 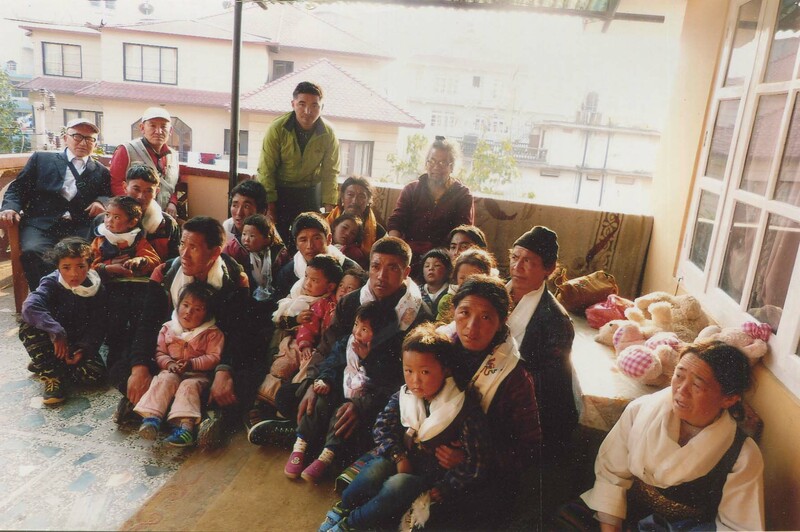 It is His Eminence Nubpa Rinpoche's wish that they receive proper care and education so that they can contribute the society as well as their home area in the Lapchi area in the future. 6. 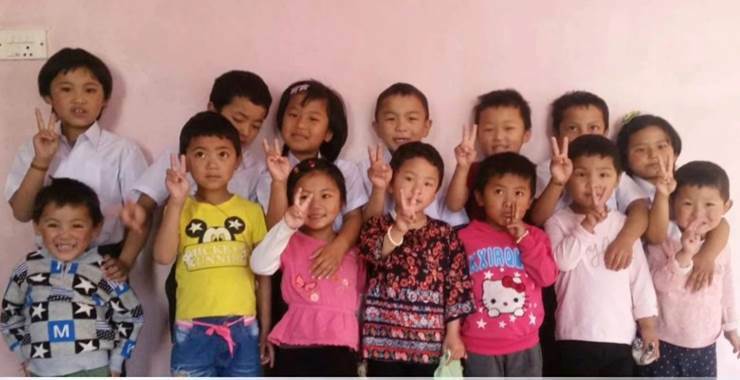 Right now, the project is still running a deficit since six child sponsorships are missing. 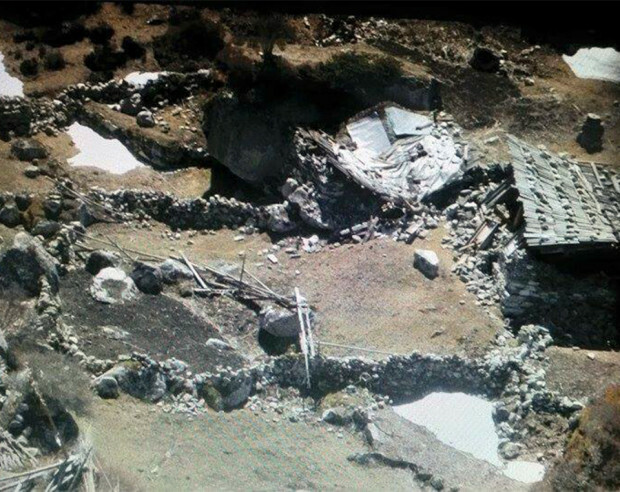 As a result, the project must rely on funds from Lapchi Association which currently channels valuable resources from other critical projects aimed at restoring and preserving the holy place of Lapchi, in particular after the massive earthquakes in 2015.We sincerely hope that more sponsorships can be found so that the children home operation can continue. 7. As before, His Eminence Drubwang Nubpa Rinpoche encourages all of us to donate whatever amount you can to support this project. Rinpoche said, “This kind of virtuous deed when it is done with good motivation, the amount is not important. One simply donates whatever one can. Most important is how we do it. If the act is done from the heart of love and loving kindness, it is a virtuous act. Once the virtuous act is performed, there is no need to think about the result. 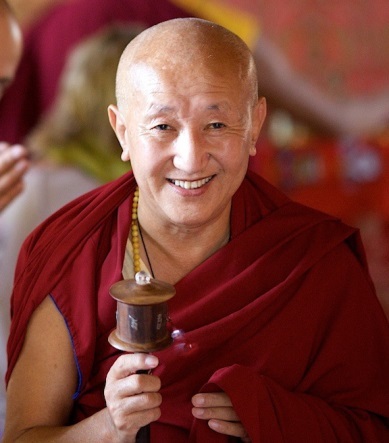 If we perform virtuous deed without expectation, one is free from attachment and self-grasping; thus, one can live in a care free manner.” We are so grateful to Rinpoche for giving us such precious opportunity to practice bodhicitta, generosity and to accumulate merits. 9. The monthly and yearly budget for each child remain the same as last year. 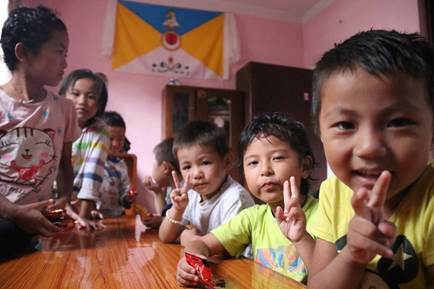 For sponsoring one child or more annually, please send sponsorship directly to Nechok Lapchi Kagyu Milarepa Association only. You can transfer to the account above via Western Union. **Please write “Lapchi Children”, your name and email address on the payment. 1. Recitation of the Mahaprajnaparamita Sutra on auspicious months. 2. Dharma practice and hanging of prayer flags in auspicious days. 3. Continued offering of light to the Buddha, daily recitation of mantras and offering to protectors, done by the resident lamas of Lapchi. 4. Daily visualization and dedication of merits to benefactors of the ten directions done by practitioners at the various retreat centers in Lapchi. 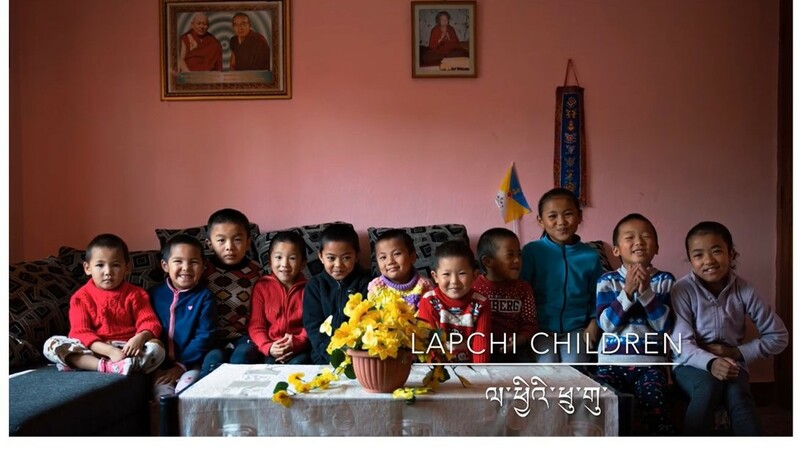 The Lapchi Association hopes that these children will in the future bring new hopes to the community and the holy place of Lapchi in their own ways, whether it is about morally and spiritually nourishing themselves, teaching the younger generation, or serving to preserve the holy place of Lapchi, etc. 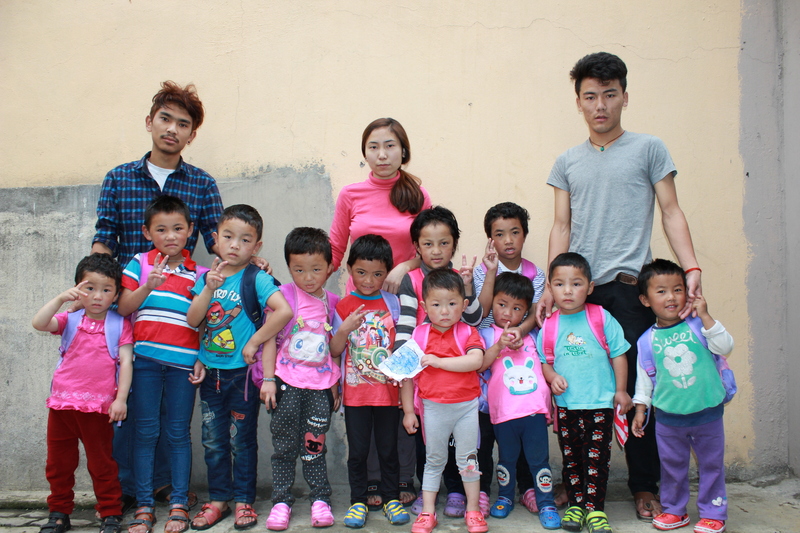 The association is very grateful for your interest and attention paid for the well-being of the Lapchi village children who are under the care of our Lapchi Compassion Home (Lapchi Jamtse Kyi Khang). They are sincerely thankful to your kind support. They guarantee that every cent of your donation will be spent on covering the expenses of the children.